A fundamental tool to be used to hang and protect your beloved aerial fabrics. Excellent Aerial Fabrics/Silks specially Made in Italy for aerial acrobatics. CIRCUS DIVISION Aerial Fabrics are developed, once again, in collaboration with acrobats and teachers from all over the world. We have spent years researching and experimenting before certifying and putting this product on the market, but our efforts have been largely repaid by the enthusiastic feedback from our customers. The fabric is 160 cm wide, made of 100% polyester and specially treated to reduce its longitudinal elongation as much as possible. 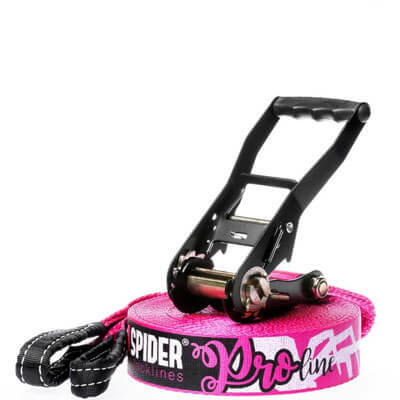 This makes it very easy to grip, allows both beginners and professionals to use much less effort to climb it and makes slides and "falls" much less dramatic and more easily controllable. In short, these are ideal Aerial Fabrics for the practice of aerial acrobatics at all levels. Our fabrics can also be washed in the washing machine up to 30 °. We often read about stretch grade of aerial fabrics published by other traders who have invented totally arbitrary and unfounded criteria to encourage the purchase of the fabrics they sell. We strongly encourage you to reflect on the quality of this type of information. What does 10% or medium stretch means? If the acrobat or the practitioner weighs 50 or 100 kg, the fabric always stretches by 10% or the same way? And if the fabric used is 8 or 20 meters long, does it always lengthens of 10% by applying the same load weight?! How can this type of information be helpful making your choice? We therefore recommend first of all to verify that the fabrics are provided with an adequate certification of conformity with the relative breaking load limit and working load limit of use, and as a basic criteria of choice, make sure that the fabrics are 100% polyester and that there are no elastic components like LYCRA, even in small percentage. Too much elasticity makes the practice much more tiring and shortens the life span of fabrics. Newsletter Stay up to date with all the news!